I love these moments ~ when the shutter clicks at exactly the moment of connection. 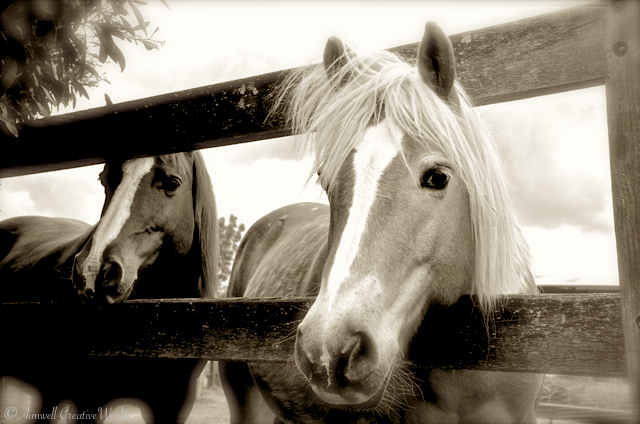 This entry was posted in Animals, Australia, Equestrian, Photography and tagged Aimwell CreativeWorks, black and white, Dorothy Chiotti, Equestrian, Equine image, Horses, Leanne Cole, monochrome. Bookmark the permalink. A great click…I love horses and the dreamy look in their eyes.